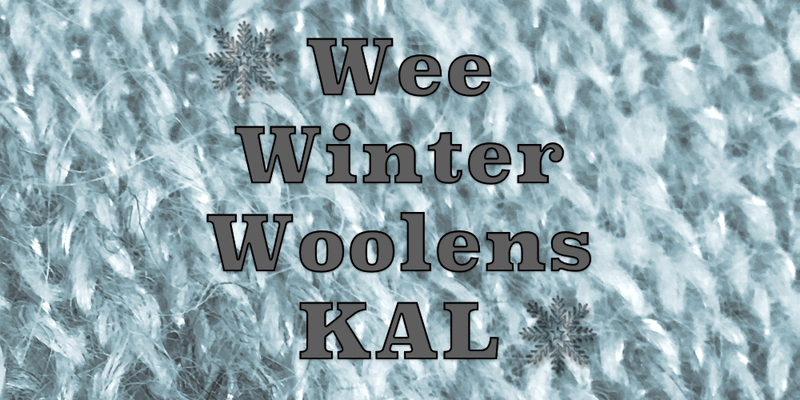 It’s time for the first wee sweater in our Wee Winter Woolens KAL, the Wee Striped Yoke Sweater. The sweaters will take you a little longer than the other pieces, for me that was two evenings instead of one, but I think they are the worth it. 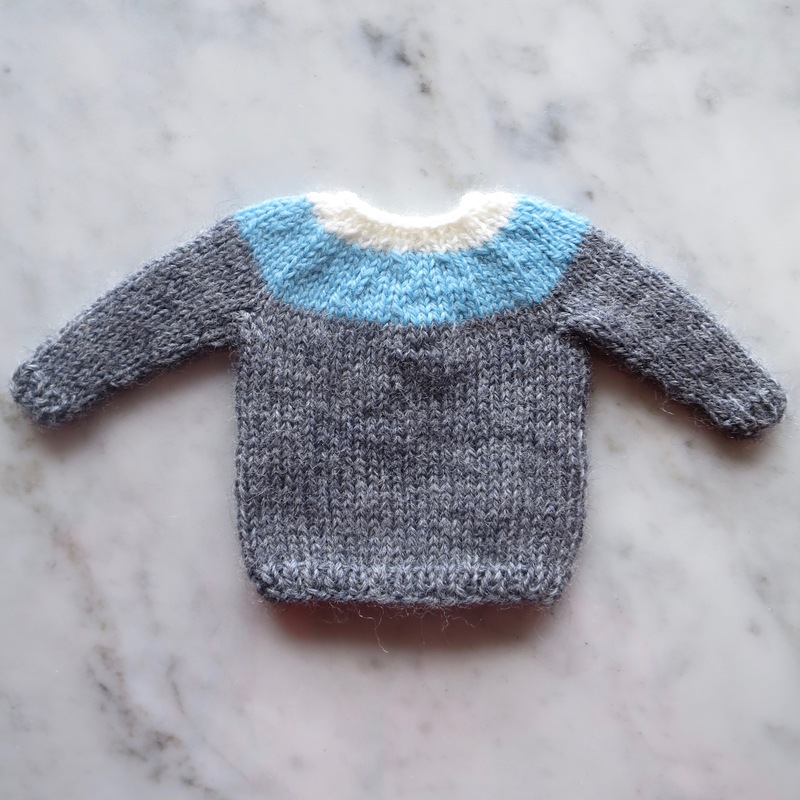 Download the Wee Striped Yoke Sweater Pattern. If you have purchased the pattern on Ravelry, there is an update available for you. Remember the sweaters will only be available in the wee size, not the larger tiny size. This sweater has the simplest color work of all the sweaters we will be doing. I did this because I wanted to give you an easier version to get used to knitting these little sweaters. You can, of course, add more stripes to the yoke if you’d like more color changes. Personally, I quite like the simplicity of it with the rest of the set. All the sweaters in this set will be knit the same way. 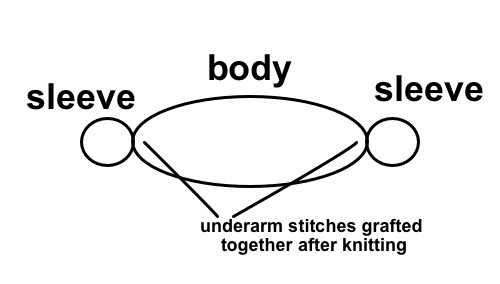 You will knit the body and sleeves in the round from the bottom up until the point where they join at the underarms. Then you will join all three pieces together leaving stitches for the underarm seam on both the body and the sleeves to be grafted together after the yoke is finished. You will knit the body and the sleeves together from that point on in the round, decreasing to create the yoke. It is very straight forward to do the decreases in a simple stripe pattern, they have to be more carefully placed once we add more color work on the later sweaters. I have worked wee sweaters in a couple of different ways in the past and found that this bottom up/yoke version gives a really nice shape, doesn’t leave you with lots of finishing work at the end, and eliminates too many bulk seams. Hope you guys have fun with this. I think the sweaters are my favorite part of the whole set. Absolutely Adorable ! Thank You !